IDX information updated on April 22, 2019 at 2:00AM. Since 1999 Lori Siders has been providing buyers and sellers with high quality service in the real estate profession. 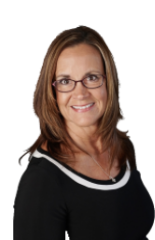 As the licensed broker/owner of Siders Premiere Properties, LLC, Lori has attained a level of expertise and education that has helped her acquire and maintain the respect of not only her clients, but her peers as well. Lori is a member of Indiana Regional MLS (IRMLS), which allows her to stay on top of information on listings in a majority of Indiana Counties, including Wabash, Grant, Miami, Huntington and Kosciusko Counties. She is licensed to show homes in the entire state of Indiana and is a member of the Realtor Association of Central Indiana. Lori previously served on the Professional Standards Board, and the Board of Directors for CIRMLS. She is a member of Indiana Association of Realtors and the National Association of Realtors.